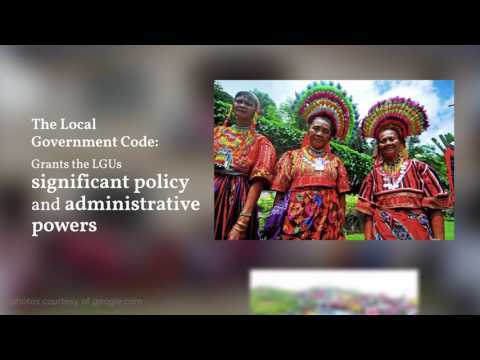 Pursuant to the mandate of the Philippine Constitution on the autonomy of local government units as one fundamental state policy, the Congress enacted the Local Government Code (RA 7160) on October 10, 1991. This revolutionary law has ordained an authentic and workable local autonomy through devolution and decentralization, unleashing opportunities for self-development at the local level. Delving into the stories of gains and learnings from such landmark law, the Union of Local Authorities of the Philippines in partnership with the Department of the Interior and Local Government and United Nations RePubliKo campaign, presents the LGC@25 Documentary Series: Pagbalik-tanaw. Pagpugay. Pagsulong. Watch this first video of the series featuring testimonials of two significant trailblazers in the local governance scene, Father of the Code Sen. Nene Pimentel and former senator, governor, and DILG Secretary Atty. Joey Lina. Listen to their stories and memories on the journey with the Code, as well as significant breakthroughs through its 25 years and plans toward achieving genuine local autonomy.